A longtime friend pulled the plug on his university studies as a young man to pursue his dream to become a professional polo player. He succeeded. He was earning a living in his chosen sport back in the day when New Zealand’s top-level rugby players were still amateurs. Back then, the All Blacks were getting $30 a day in expenses when representing their country. My friend’s family business was racehorses and, when he returned to New Zealand from the US, he had a hand in this, too. Back then, I fancied myself as a reasonably handy runner and could, at my best, cover 10km at a pretty respectable clip, thanks to countless miles of training on the road. I recall one sunny day, when I visited him as the last thoroughbreds were being worked for the day. He was dead right. We’ve all read stories about fleas being able to leap the equivalent of the Empire State Building, or lift some ridiculous multiple of their own bodyweight, but we all know who the real athletes are. Horses are nigh-on perfect. Powerful, fast, agile, perfectly balanced. And they’re tractable enough to allow us to climb on their backs and do our bidding for us. The horse, as a species, writes the book on athleticism. However, it comes at a cost, with great physical demands placed upon their legs. Overwork and imbalances can cause tendon and bone problems, sometimes with catastrophic consequences. So, it is with considerable interest that two of the most senior figures in endurance wrote to officials late last week to discuss the need for vigilance. The chairman of the FEI’s Endurance Technical Committee, Brian Sheahan, and the FEI’s endurance director, Manuel Bandeira de Mello, said endurance had developed into a highly professional equestrian sport over the past decade, and the value of quality horses had risen. There has been growing pressure to qualify novice horses as soon as possible, and they spoke of a trend toward faster times, which led to increased welfare risks to horses. “We remind you that all it takes for a serious and damaging incident to occur is for one athlete to ride his/her horse beyond its capacity to perform or one official to turn a blind eye to rule violations or one veterinary official not to recommend the removal of a horse from competition suffering from lameness or metabolic issues. I’ve commented before on the professional level of endurance in the United Arab Emirates (UAE), and questioned whether jockey-style riders and the major prizes on offer for big rides are really conducive to the highest standards of horse welfare. The UAE was provisionally suspended from the FEI last March over welfare concerns in endurance and non-compliance with the rules of the sport. It was allowed back only after agreeing to a raft of conditions, including full compliance with FEI rules and regulations in endurance. The 2015-16 season is now under way, and the endurance world is watching with considerable interest to see if strict adherence to FEI rules will make a significant difference. After all, the last thing the sport needs is more damaging headlines from catastrophic leg fractures. But equally interesting to me are completion rates. Surely, in any endurance race, there should be a reasonable expectation that the horses will finish the contest without lameness issues. Metabolic eliminations see horses bow out because their vital stats suggest they aren’t standing up to the rigors of the contest. They are what could be termed pro-active eliminations. So what about lameness eliminations? Let’s look at the big endurance season opener last month in the UAE, raced at Al Wathba, in Abu Dhabi. Five four-wheel-drive vehicles were up for grabs as prizes. 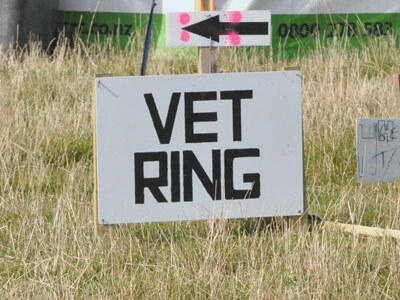 It employed three vet gates, with two loops of 40km and a final loop of 20km. Of the 108 starters, 88 did not qualify, amounting to 81.48% of the starting field. In all, 25 went out because of lameness, 29 as a result of metabolic reasons, 14 were out of time, and 20 were retired by riders. So, 23 percent of the total field went out for lameness, although I suspect the real figure may have been considerably higher, given that another 18.5 percent of the riders withdrew. It must be acknowledged that some, perhaps many, of these lameness issues were minor. The vets may have detected only the slightest gait unevenness and failed the horse. That aside, the figure does seem high when you consider this is an environment where the welfare of the horse is said to be paramount. The world endurance championship last year in France is another case in point. Event organisers had settled on a technical and challenging course with varied terrain, but unexpectedly heavy rain in the leadup left the footing difficult, even treacherous in places. Just 38 horses from the 174 starters finished. Only three countries had the minimum three riders in contention by the end of the race for the teams title. One horse died, and four riders suffered injuries, three of whom went to hospital with broken bones. That’s a tough day at the office by any measure. Let’s look at the lameness eliminations. On my count, there were 31 eliminations for lameness, representing 21.8 percent of starters, and six horses retired, representing 3.4 percent of the field. Endurance boss Brian Sheahan declared himself happy with the event, saying it deserved the title of world championship. “This was a World Equestrian Games and the course was extremely technical and extremely challenging,” he said. However, among the world’s top-tier horses, more than one in five vetted out for lameness. Do we praise this supposed abundance of caution by the vets or do we simply conclude that this is too many horses to be bowing out of competition in one race because of lameness issues? For the great majority of endurance riders around the world, completion is their reward. Others are more competitive, but know their horses intimately from hundreds of miles covered together in training. Beyond that, when major titles and expensive prizes are on offer, I suspect the risk to horses is higher. They are uncomfortable companions. For now, Sheahan and Bandeira de Mello are absolutely right: Officials must be vigilant in protecting the welfare of endurance horses. If they fail to do so, the bad headlines will keep coming. The sport of endurance, at its pinnacle, is about the partnership between horse and rider. Yes, horses are pushed hard, but the rider is attuned to their mount and can sense its performance as surely as any race-car driver can monitor his engine with a myriad of gauges in front of him…… So Sorry but his statement is wrong in many, many cases….. until the FEI insists & implements rules that highlight a riders ability to do the above, endurance will never flourish and forever be the ongoing source of horror stories brought about by horses being over-ridden…. start by reducing the heart rate…we will ALL have to ride slower& more conscientiously to get the lower heart rates- even more so if this is coupled with a shorter ‘time in”…….